The government will adopt a digital platform to transfer the money to the farmers to ensure that there would is no misuse of the money that has to be transferred to them. 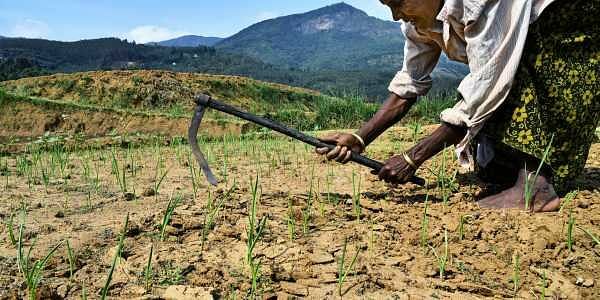 MUMBAI: Maharashtra will adopt a digital platform like the one adopted by Andhra Pradesh for effective implementation of the recently-announced farm loan waiver, finance minister Sudhir Mungantiwar said. “We will adopt a digital platform to transfer the money to the farmers and to ensure that there would be no misuse of the money that has to be transferred to the farmers,” Mungantiwar told the media in Nagpur on Thursday. Taking potshots at Congress for criticising chief minister Devendra Fadnavis for allegedly inflating the figure of potential beneficiaries, the finance minister said, “If Congress feels they can do better, they too should take such historic decision to waive loans and implement it in Karnataka and Punjab which are under their rule.” He highlighted that the Comptroller and Auditor General (CAG) had censured the UPA government for poor implementation of the 2008 debt waiver scheme. Meanwhile, Subhash Deshmukh, minister of Co-operation, marketing and textiles is likely to be appointed as the head of a committee tasked with the implementation of loan waiver scheme. “More than 35,000 government auditors would begin scrutiny of eligible beneficiaries of the scheme. The task would be completed in the next one and half months, after which, the amount would be transferred to their accounts,” he said.